A Digital Health Masterclass Challenge was recently held by Janssen Healthcare Innovation and Johnson & Johnson Innovation. Here Marco Mohwinckel of Janssen Healthcare Innovation shares more details of the entries of this challenge. Marco Mohwinckel of Janssen Healthcare Innovation shares details of the recent Digital Health Masterclass Challenge 2013 here with pharmaphorum’s Rebecca Aris. He discusses what Janssen Healthcare Innovation were looking to achieve with the masterclass and details of the entrants to the challenge. RA: Thank for your time, could you start by telling me the aim of this Digital Health Masterclass Challenge and what did you hope to achieve? MM: The Digital Heath Masterclass was hosted by Janssen Healthcare Innovation and Johnson & Johnson Innovation as part of our commitment to transforming healthcare through partnerships with innovators in science and technology. Our ambition here has been to help build and shape a vibrant digital health ecosystem in Europe and to help drive growth in the next generation of digital health businesses. By pooling expertise across the Johnson & Johnson Family of Companies – including the dedicated entrepreneurial team Janssen Healthcare Innovation, Johnson & Johnson Innovation Centre London, and Johnson & Johnson Consumer Health – we have built a programme that offers access to a series of growth-focused educational workshops, mentoring, and close interaction with customers, international influencers, executives from the Johnson & Johnson Family of Companies and investors. The Masterclass aims to nurture and develop entrepreneurs, offering the digital health influencers of tomorrow a springboard to take their businesses to the next level. RA: How did you decide which 20 startup companies were to pitch for this challenge? MM: We launched the Johnson & Johnson Digital Health Masterclass in July 2013, when we invited applications to participate from growing digital health start-ups across Europe. Companies were required to have forward-thinking digital health solutions to take to the market and share a passion to tackle some of the greatest challenges in healthcare by identifying and implementing innovative solutions. We received more than 100 applications to the inaugural Masterclass and selected 20 of the top businesses from nine countries across Europe. Each of these established, leading digital health companies has developed an innovative product, service or proposition using the latest technologies such as mobile apps, cloud-based solutions and wireless sensing technologies to address a particular healthcare need, and are at a stage of development where we feel the Masterclass could really help accelerate their progress. RA: Once selected, can you tell me more about the following sessions that the entrants participated in? MM: Following selection, the 20 companies participated in three collaborative learning sessions in Berlin, Barcelona and London, where they were exposed to a growth-focused curriculum, expert advice, and close interaction with customers, international influencers, executives from the Johnson & Johnson Family of Companies and investors. The Berlin Masterclass was designed to provide a comprehensive background in healthcare delivery and related costs and benefits to society. Our speakers provided a deeper understanding of the G5 European healthcare markets, the need for rigorous data acquisition and management in the digital health industry, and background on regulatory and privacy issues. The Barcelona Masterclass focused on helping the companies identify their core strategic capabilities and related customer segments on their path to long-term growth. The companies identified and defined clear business models to fit their unique capabilities. In addition we looked at some of the key enabling technologies including mobile networks and digital behaviour change. The final Masterclass in London focused on executing the strategic plans developed in Barcelona, such as building management teams and board for growth, developing financing, operations and sales and marketing plans, and presentation skills. The session also focused on venture financing and building a ‘company story’ that can drive the narrative with employees and customers as well as potential investors. In many ways it was the participants themselves and the open sharing of their knowledge and experience that drove much of the learning in the Masterclass sessions. We remain deeply indebted to the Masterclass expert speakers who delivered valuable content and insight to the Masterclass companies and to us at Johnson & Johnson. RA: Can you tell me more about how the top three digital health solutions of the Digital Health Masterclass Challenge were selected? MM: The programme culminated in an ‘Masterclass Challenge’ on 20th November, where each of the 20 start-ups pitched to a distinguished panel of judges including leading venture capitalists, J&J executives, and experts in the digital health field for a share of a prize pool of €50,000. This enabled them to put into practice the skills and strategic thinking they had developed during the Masterclass learning sessions. The judges watched the company pitches and determined the winners by scoring each against a set of criteria including: patient / healthcare impact such as quality of life; health system impact, such as reduction in admissions; company such as product or service innovation; investment opportunity such as scalability, IP and market attractiveness. RA: Can you please explain a little about what impressed you with the winning three entries? MM: Selecting the winners of the Masterclass Challenge was not an easy decision; the standard was high and the judging panel was hugely impressed by the digital healthcare solutions demonstrated by all of the participating companies. We congratulate not just the three winners, but all 20 companies who were selected to take part. RA: What other entries of note were there? MM: All of the companies participating in the Digital Health Masterclass impressed us with their solutions, but I did find some particularly interesting due to the tremendous benefits they are already bringing to users. BrainControl is a breakthrough technology that gives disabled people, for example those with locked-in syndrome, the power to control objects with their thoughts. This includes enabling them to control a communicator, domotic devices (lights, doors, windows, alarms, temperature, bed position, etc. ), wheelchairs, and other assistive technologies. SOMA Analytics is a London-based start-up that uses patent pending biometric technology to help companies cope with the impact of workplace stress on their employees. Skin Analytics has developed a patent pending algorithm that enables smartphones to detect small changes to skin features over time. Users can upload their own photographs of moles for comparison over time to help with the early detection of skin cancer. RA: From viewing the entries of this Masterclass, what are your hopes for the future of digital health? MM: The breadth and calibre of technologies we have seen through the Digital Health Masterclass programme is testament to the fact that digital health businesses are fast securing their position as key players in today’s health ecosystem. Advancements in technology are being increasingly embraced by healthcare professionals, entrepreneurs and industry, resulting in an exciting evolution in the way healthcare is being developed and delivered. These new digital tools are key to helping modernise the delivery of healthcare and addressing some of the great challenges, including improving patient monitoring, engagement and adherence. The shift to a more entrepreneurial market is also resulting in a change in the way healthcare facilities are working. For instance, there is an emergence of a growing number of life science and tech innovation hubs across Europe, such as Silicon roundabout Europe, where partnerships are being forged between healthcare professionals, academics, entrepreneurs, industry and governments. It is this convergence of expertise, advancements in technology and patient empowerment that will help shape the future of healthcare. At Janssen Healthcare Innovation (JHI), an entrepreneurial team within Janssen R&D, we believe open innovation and collaboration is vital to progressing healthcare in this country and we are excited to be developing partnerships with more of these digital health companies. 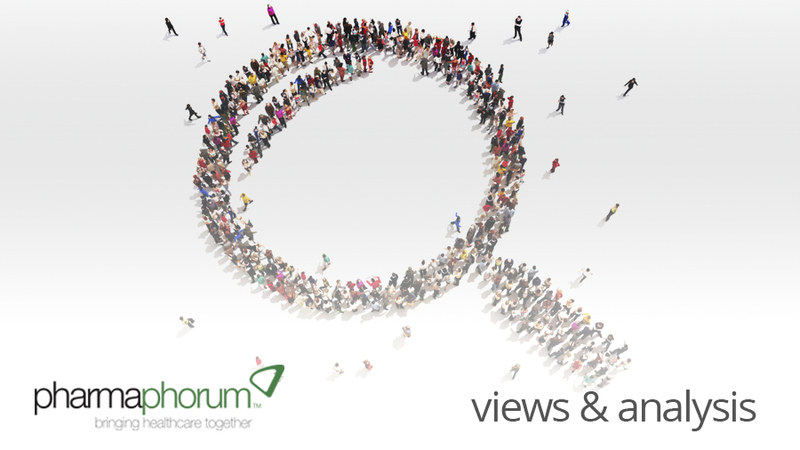 We hope that together, we can transform the healthcare landscape in the UK and across Europe. Prior to his current role at JHI, Marco headed up the Neuroscience Business Unit and was a member of the UK Management Committee of Janssen Pharmaceutical Companies of Johnson & Johnson in the UK. In this capacity he was responsible for driving sales and marketing of the leading Janssen brands in the UK and launched first-in-kind partnership working models with the National Health Service. Before joining Janssen as Strategic Marketing Director in the anti-infectives franchise in EMEA in 2007, Marco was Principal at the global strategy consulting firm Monitor Group, where he advised clients in the life science sector on a wide range of strategic and operational issues. He serves on the International Advisory Panel for the European Connected Health Alliance and the Digital Health Forum, and has recently co-authored “Beyond magic bullets: true innovation in health care” (Nature Reviews, Drug Discovery, Vol.13 Feb 2013) calling for pharmaceutical companies to move beyond selling therapeutics into playing a broader and more proactive role in healthcare delivery. Closing thought: What are your hopes for the future of digital health?